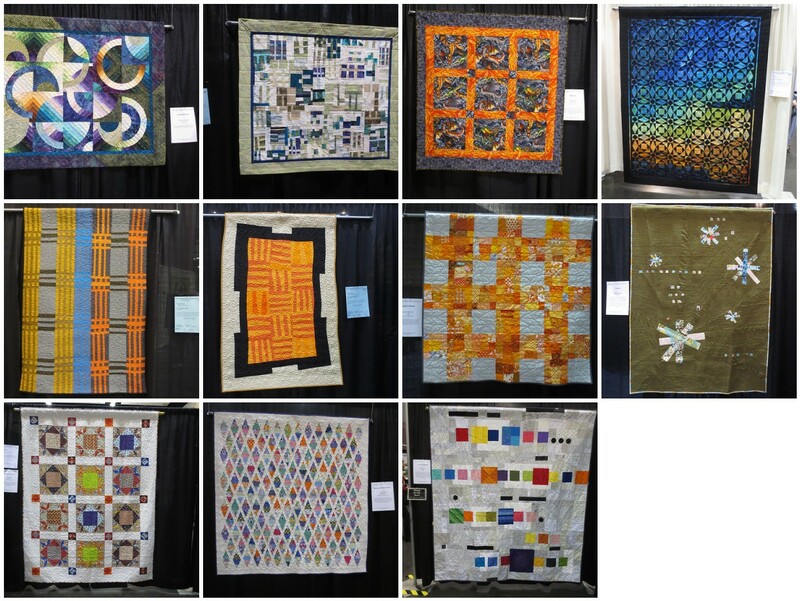 Every year, just a ten minute drive from my house is "The Largest Quilt Festival on the West Coast", also known as Pacific International Quilt Festival. I go to support my friends. 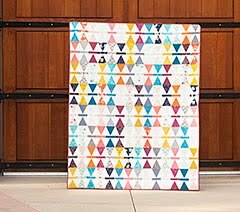 More and more quilters from our local modern quilt guilds are submitting quilts. It is always exciting to see their quilts hanging in a show. I want to grab the stranger standing next to me and squeal, "my friend made that!" This was the first year that I saw lots of familiar faces walking the show floor. It was great to see their smiles while I was there! Usually I feel like I can't relate to the crowd. I can't shake the feeling like people think I'm there with my Mom or something. It's totally weird and probably my own hang up. Here's a mosaic of my peep's quilts. These are all from the Bay Area MQG, East Bay MQG and South Bay MQG. Yahooie! 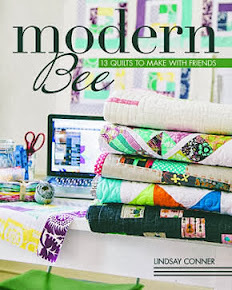 Let's hear it for modern quilters!! Do you see that California sun shinning in almost every one? Coincidence? While the collection as a whole doesn't stand out to me, there are always elements that get my attention. I'm not one to ponder every single quilt. I browse, and go in when something calls to me. I really love the International exhibit and I specifically look forward to the Japanese quilts. The gorgeous one below was mostly made up of log cabin blocks. So cool! Some vendors have show specials and I try wait to buy big ticket items until PIQF in October. Last year I bought my Oliso for less than Amazon's list price. This year I was thinking about buying a Tutto rolling cart for my new machine, but decided not to. I usually hit up the Olfa booth and buy blades. Did you know that your Olfa mats like taking a bath? It's true! Check out their tip section. Sometimes I find fabric treasures, but not very often. This year I went back again on Sunday to buy some Kokka and Echino. I had to have it. I also love to stop by and see what local designers Sandy Klop and Joanna Figueroa are up to. My favorite exhibit at the show is called New Quilts of California. This is where most of the modern quilts from the Bay Area end up. I haven't submitted anything myself, maybe next year? In the end I'm glad I went. 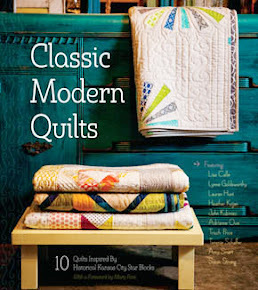 I'm curious, what are your local quilt shows like? Hello from another Adrianne! I too get the feeling that people think I'm there with my mum (to be fair, sometimes it's true). I am in my twenties and most of the other attendees are, well, older. I doubt we have quilt shows approaching the scale of the PIQF in New Zealand, but I also enjoy seeing all the different things people have made, even if they are not all to my taste. 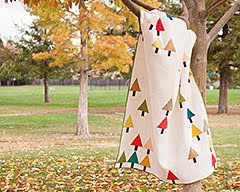 I love that tree quilt - and I probably would never have seen it if you hadn't posted a pic on your blog - so you can add another reason to go - providing inspiration to other quilters world wide. The Fushiki quilt is such a wonderful composition - a great sense of depth and detail without seeming overwrought. And it's so wonderful to see the Bay Area MQG (all of 'em) quilts so well represented. Yay Joel and Kristen! Thanks for the lovely slide show! I hear you on the crowds- Thursday was crazy. I hear Sunday is the day to go. 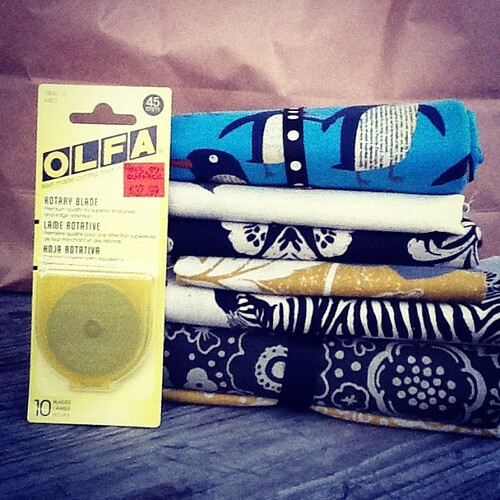 I almost bought those grey and yellow linen blends as well! I took a class, which was fun. And I too saw people I knew for the first time -from BAMQG. And the Japanese exhibit, and many of the other international ones, were indeed amazing. 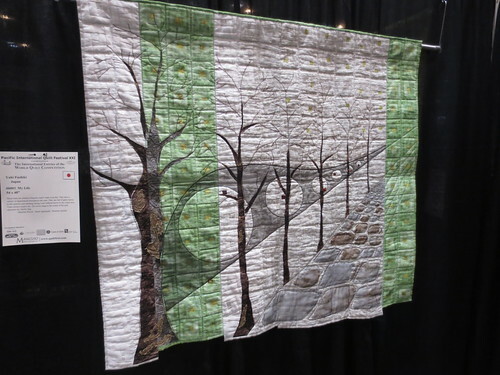 I find as my quilting experience deepens, the things that impress me change. This year I was really focused on the quilting not the piecing, and I noticed some amazing work! 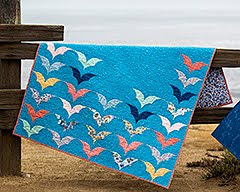 On quilts that otherwise might not have caught my eye. Yay to the MQG! Most of the vendors I thought were rather unappealing in their offerings. Didn't see the Kokka, darn it! If I still lived there (sniff) I would love to go!! 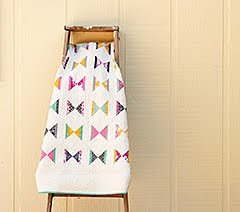 That is awesome that so many are ladies you know and quilt with. It's so interesting to see what caught your eye. I just went through my photos from the show and have an almost entirely different set of favorites! It's really fun getting to see the show through someone else's eyes and seeing some great pieces that I missed. Thanks for the tour!